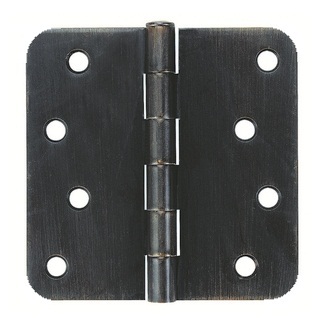 This hinge is for residential applications only. All steel base material. Non-removable steel pins are available for $1.00 -- call for details. Heavy 0.087 Gauge(2.2mm) thickness. Six knuckle design. Also available with 1/4" round corner. For doors equipped with automatic closer or high traffic, use ball bearing hinge.